In Russia, there are people who earn their living trading in personal information belonging to American citizens. They maintain websites where one can buy names, addresses, and Social Security and credit card numbers. Cybercrime flourishes both transnationally and within our own borders. It is time to arm ourselves with the information we need to remain safe. Cybercrime: Criminal Threats from Cyberspace is intended to explain two things: what cybercrime is and why the average citizen should care about it. To accomplish that task, the book offers an overview of cybercrime and an in-depth discussion of the legal and policy issues surrounding it. 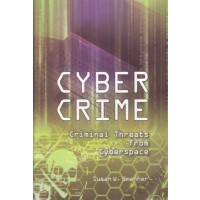 Enhancing her narrative with real-life stories, author Susan W. Brenner traces the rise of cybercrime from mainframe computer hacking in the 1950s to the organized, professional, and often transnational cybercrime that has become the norm in the 21st century. She explains the many different types of computer facilitated crime, including identity theft, stalking, extortion, and the use of viruses and worms to damage computers, and outlines and analyzes the challenges cybercrime poses for law enforcement officers at the national and international levels. Finally, she considers the inherent tension between improving law enforcement’s ability to pursue cybercriminals and protecting the privacy of U.S. citizens. This set has gained immense popularity among students of all ages. The sixth edition has been updated and expanded keeping in mind the changing world...This 'A-plus' read includes information on how to create an effective work environment, excel in class, use the library, research online and much more. 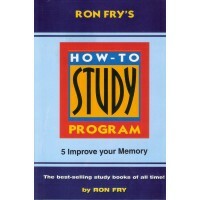 The complete set includes: how to study; get organized; improve your reading; improve your writing; improve your memory; and, 'ace' any test. This is highly recommended for students of all age-groups, teachers and all those who want to excel in any competitive exam. South Asia continues to be one of the most important crisis regions in the 21st century. It is characterized by an interlocking web of old and new security risks. There are unresolved territorial disputes such as Kashmir and the recognition of the Durand Line; the proliferation of nuclear technology; a broad range of ethnic, religious, and left-wing rebellions that have links to regional and global terrorist groups connected with organized crime; and the unpredictable repercussions of climate change, which could turn one of the poorest regions in the world into a tinderbox. Above all, it has no regional organizations for security cooperation so far. 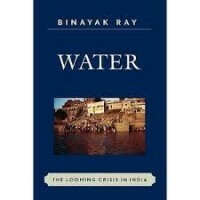 The rise of China and India as major world powers promises to test the established global order in the coming decades. As the two powers grow, they are bound to change the current international system—with profound implications for the world There is no question that Asia is witnessing the simultaneous rise of several powers, each convinced that its position relative to the others will improve rather than worsen in years to come. What are the implications of South Asia's history for its future? Will it continue to have to deal with weak governance? Will rebellion and internal violence continue to plague most of the region? 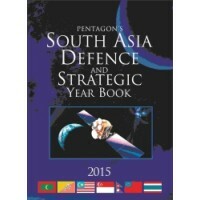 The South Asia Defence & Strategic Year Book attempts to look at these and myriad other issues relating to South Asia. 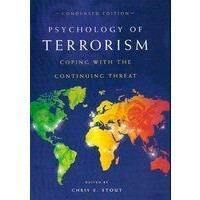 It covers studies of the countries of the region, their military arsenals; and amply highlights the incidences of terrorism that plague the region. 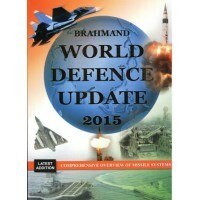 Brahmand World Defence Update 2015 aims at providing a comprehensive assessment of the present day global military order with a focus on each nation`s military capabilities, new arms acquisitions and defence spending. The fourth edition of the yearbook featuring a new chapter on Comprehensive Overview of Missile Systems promises to add fresh impetus to the book by focusing on major countries` various missile systems and their latest advancements that can influence the battlefield of tomorrow. 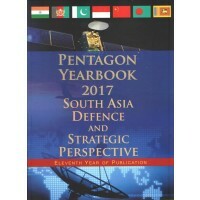 The yearbook also contains the latest information on defence capabilities of 113 countries and has highlighted 33 important countries along with their geopolitical importance, internal and external conflict areas, threat perspectives, strategic relations, multilateral alliances, defence capabilities including strategic forces and defence deals. Some of the major highlights of the book include: Defence & Security - Internal, external conflicts, threat perspective, past/present military conflicts strategic tie-ups with other countries and with major international organisations. Defence Capabilities - Military structure, strength of Army/Navy/Air Force, latest data on arms and equipment, new RFPs/Contracts for defence procurements and modernisation programmes. Defence Industry - Defence production, Research & Development activities, defence exports/imports and procurement procedures/plans. The Great Game for political supremacy and influence was played out across the plains of Central between India and Imperial Russia for almost the entire duration of the nineteenth century. The Young husband Mission to Tibet was the 'end game' of the "Great Game". 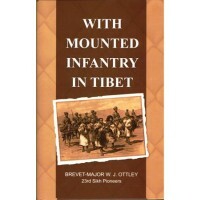 Officially termed the "Sikkim Tibet Field Force," the British presence in Tibet in 1904 had been variously known as the "Young husband Mission," the "British Mission to Tibet," and the "Second British Invasion of Tibet." The "Mission" strictly refers to the diplomatic corps surrounding Young husband, which was composed of personnel from the 32nd Sikh Pioneers and 300 followers. However, Lord Kitchener issued orders for them to be supported by a Royal Artillery Mountain Battery with two ten-pounder screw guns, a half company of the 23rd Sikh Pioneers, six companies of the 8th Gurkhas, and two Maxim guns from 1st Battalion, the Norfolk Regiment. the vast resources of the Coolie Corps were drawn upon, over 10,000 in all, along with 3,000 ponies, 5,000 yaks and buffaloes, 5,000 bullocks, 7,000 mules and six camels. 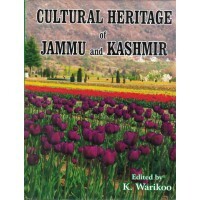 Situated at the crossroads of South and Central Asia, the State of Jammu and Kashmir has made lasting contribution to Indian philosophy, arts and aesthetics, historiography and various other aspects, thus becoming and inalienable part of India s spiritual and national consciousness. Numerous sacred shrines of Jammu and Kashmir are revered and regularly visited by millions of people. Here powerful cultural movements developed and spread not only to other parts of India but even beyond India s borders to Tibet, Central Asia, Mongolia, China and other adjacent countries. It is here that the humanistic and universal philosophies of Buddhism, Shaivism, Sufism and Rishi culture have flowered. A beautiful book that brings the body to the centre stage. In a comprehensive fashion, Healthy Living with Ayurveda provides us with an understanding of the prakriti (constitution) of a person, highlighting the necessity of personal participation and adaptations to seasonal changes, dietary intake, preventive measures and therapeutics. Healthy dietary alternatives, stress-alleviating massages, and non-allopathic medicinal regimens, all tailor made to suit your unique constitution, make this book a must-have for those in search of a holistically healthy lifestyle. The first step to living with Ayurveda is to understand the body's unique requirements and responses to the environment based on individual prakritis (constitutions). The body is naturally intelligent – the right regimen, if followed with care and consistency, gives the perfect impetus to bodily wisdom. The ingenuity of Ayurveda lies in providing an optimal sense of responsibility to the individual for his or her well-being and happiness. Good health is at your fingertips: living the healthy way is living with ayurveda. 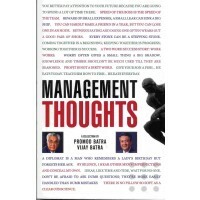 Management Thoughts written by Dr. Promod Batra. Management Thoughts inspiring thoughts and ideas on Management of Self, Family, Friends, Employees, Customers, Competition, Sales & Service, Markeing, Health and Happiness and Thinking. 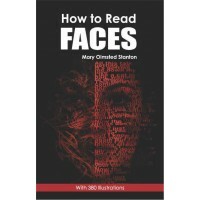 A practical guide to face reading and understanding personalities. This short biography delivers an intriguing look at the man behind politics. It is a story about Lincoln as a person and a tale of his experiences that built the character he would later need to save the Union. It tells about the man whose strength came from unending meekness, humility and integrity. 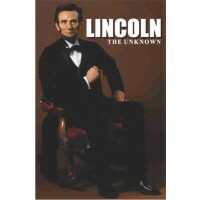 It focuses the person over dates and details moving the reader quickly and easily through Lincoln’s life. WORLD'S GREATEST SPEECHES is a master collection of the greatest speeches ever made by some of the greatest figures in history. 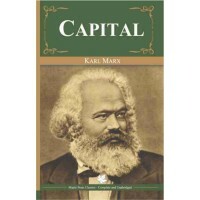 DAS CAPITAL by Karl Marx is hailed as one of the books that changed the world. Here is it in complete unabridged form. Claiming he had discovered the “royal road to the unconscious,” Sigmund Freud published 'The Interpretation of Dreams' at the turn of the twentieth century, and thus laid the foundation for his innovative technique of psychoanalysis. 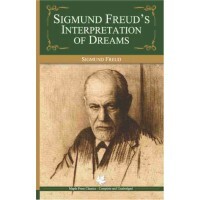 The raw material for The Interpretation of Dreams was provided by Freud himself. Spurred on by the death of his father, he began analyzing his own dreams, in the process recreating lost childhood memories and uncovering the roots of his own neuroses. A fascinating and beautifully written book. The Interpretation of Dreams is an indefinable masterpiece that helped shaped the mind of the twentieth century. South Asia`s complex geopolitical realities present a number of challenges to regional countries and dominate the discourse. Likewise, there are complex geostrategic issues which inhibit regional cooperation and add to trust-deficit. This volume captures perspectives of experts and scholars on South Asia who offer some deep insights of the region. It addresses a number of issues that fall into the domain of geopolitics, geo-economics and geostrategic. With connectivity being the buzzword of 2016, the volume draws attention to the geostrategic calculus involving transport corridors and the emerging great game in South Asia. The book also deliberates on thematic issues such as trends in defence spending as well as marine protected areas in the region. This volume is a must read for academics, researchers and policy makers in South Asia as also those who pursue various political, security and environmental issues confronting the region. In the wake of fukushima nuclear accident in Japan, nuclear industry worldwide is facing two major challenges; first, the public concern over safely of nuclear power plants and second, the relationship between the nuclear industry and public regulators. Similar concern have been raised in India too. The persistence of public concerns over nuclear safety, in long run, could pose a serious challenge to India`s civilian nuclear energy programme. The book analyses the prospects for nuclear energy globally in the aftermath of Fukushima nuclear crisis and evaluates its role in India`s energy mix. 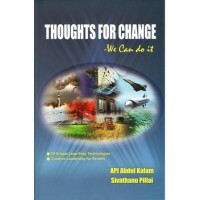 In the light of various public concerns, the book evaluates the overall performance of India`s nuclear plants in terms of safety, impacts on environment and public health, nuclear emergency preparedness and civil nuclear liability. The public concerns against nuclear power in India are mainly related to the impact on environment and public health. The books show that the operation of nuclear power plants in last for decades did not pose any significant risks to environment and public health. India`s nuclear power plants includes various advance safety features to withstand certain external events and the additional safety measures have been implemented as per the Atomic Energy Regulatory Board`s (AERB) safety reviews conducted after the Fukushima crisis. The operation of nuclear power plants over the years did not increase the levels of environmental radioactivity from the pre-operational levels. Also there are no discernible impacts on public health. 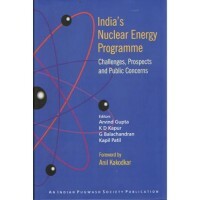 However, given the public concerns over environmental and public health related issues., the book recommends that India`s nuclear energy managers must address such concern through constructive public engagement and dialogue. "At the outset of 21st century. India has multiple challenges. In just concluded general election BJP has been voted into power. Almost a year back, BJP had declared Shri Narender Modi as their PM candidate. 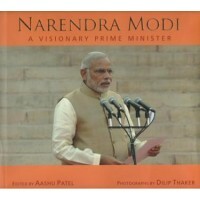 Today he has become the Prime Minister of the largest democracy in the world. The 2014 mandate is unique in a sense that it has given maiden clear majority to any Non - Congress Party. This is an unprecedented mandate with many inherent messages. Modi's message of development and good governance combined with economic agenda of growth attracted the attention of young and aspiring India. His government must achieve on diverse subjects like economy, foreign policy, food security, internal security, job creation , administrative reforms etc. The people of India have high hopes and expectations from Modi's government and they will be impatient to see how Narender Modi will roll out his agenda. Now it is opportune time to for him to restore people's faith in democracy and India's glory." Strategic culture is an inherited body of political military concepts based on shared historical and social experience. Strategic culture may shape leaders’ interpretation of international events, thereby producing certain preference orders regarding how and under what circumstances military force should be used. May policy makers also appear to hold a set of images or perceptions about the behavior patterns of other states. 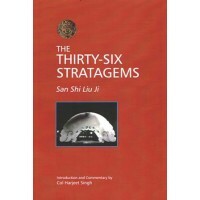 The 36 Stratagems builds on the political lessons the underpin sound military strategy and reveal the depth of Chinese strategic culture. Its reading sheds light on the literature that forms the core of Chinese strategic tradition beyond The Art of War. It shows that Chinese political philosophy and strategic tradition- and the strategic culture to which it may give rise- is more subtle and balanced. It is useful document to understand Chinese military and political thinking. Most policymakers see counterinsurgency and counternarcotic policy as two sides of the same coin. Stop the flow of drug money, the logic goes, and the insurgency will wither away. 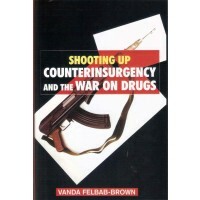 But the conventional wisdom is dangerously wrongheaded, as Vanda Felbab-Brown argues in Shooting Up. Counternarcotic campaigns, particularly those focused on eradication, typically fail to bankrupt belligerent groups that rely on the drug trade for financing. Worse, they actually strengthen insurgents by increasing their legitimacy and popular support. 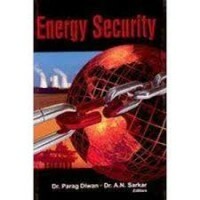 This book covers the new strategic intent of nations to secure energy resources for themselves. This concept implies how nations judicially optimize the basket of energy resources and their secure supplies for a foreseeable future so that the wheels of their economy keep on running smoothly. This looks into various international treaties, secure reserves and development of strategic reserves. Tourism has remained neglected in our country due to variety of factors. The process of globalization has however given new twist to India and we can develop our tourism sector at par with leading countries of the globe. 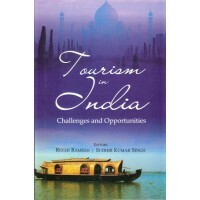 India has the potential to develop varieties of tourism and time has come to develop it at full pace. We will incorporate millions of poor people into the mainstreaming process of development through developing tourism. It is one of the most important possibilities which could help the country usher in new era marked by prosperity in 21st century to ensure sustainable development. We must seize the opportunity. This book was complied as a gift of motivation for you. Keep it on your desk so that you can refer to it often. 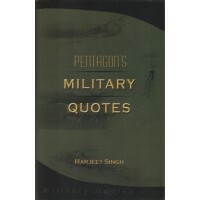 The collected quotations, sayings, aphorisms, maxims, and epigrams contained within these pages have been specifically selected for their value to the military professional. This book tells you a lot about the military profession, and about what it means to be a leader in the military. It is an anthology from people who have understood that very well and written about it over the ages. Included within its pages are passages that are thousands of years old, extolling the eternal truths of soldiering, and some from people who are living today. There is much in it that is helpful and inspiring, and probably some things with which you will disagree as well. Reading it will cause passages and phrases to echo in your mind and create a resonance that has been a talisman for many in the profession of arms. The quotes show up one unalterable verity of the military profession. Many of the problems faced by military men centuries ago are exactly the same as those faced by soldiers, sailors and airmen today. The Quotes cover a great variety ranging from leadership to behavior on the battlefield, or directly related to sustaining forces in battle. 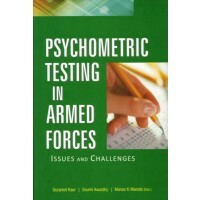 They reflect the complex world of the military profession. Like their predecessors military commanders of today require physical courage, but just as important, and much more difficult, is moral courage. The Quotes includes examples of individuals who placed their careers on the line in defense of a greater principle, but there are just as many examples of individuals who failed the test. Indeed, examples of what not to do are sometimes the more important. 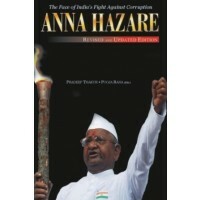 This Book is an exhaustive study of the face of corruption in Indian polity and the role of a lone crusader like Anna Hazare in cleaning it up. It traces the history of various abortive attempts to frame a strong Anti-Corruption bill that could deter people occupying public offices from polluting the domain of democratic governance in India. Against this backdrop, it highlights the exasperation of the Civil society with the clumsy attempts of Public personalities to frame, and at times to block the birth of such a law. It etches out the contours of Anna Hazare's attempts to forge this angst of the Civil society into a Powerful popular movement to force law makers to understand the urgency of introducing such a bill in the Parliament. 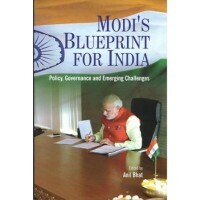 The book also takes a panoramic view of corruption in high levels in India at how it has been eating into the vitals of Indian economy and citizens; welfare. It highlights the inadequacy of the existing legal provisions to prosecute public personalities for their crimes of corruption against the state and the nation. In the murky waters of corruption. The book touches a human chord when it dips into the past of Anna Hazare to build the persona of this great son of India, not practices what he preaches. No wonder, he calls himself a "fakir" a man who has no family, no propert and no bank balance. This 74-Year-old crusader started an indefinite hunger strike on August 16, 2011 at Ramlila maidan, Delhi to get his team's Jan Lokpal passed in the ongoing session of Parliament. He ended his fast after 12 days on August 28, 2011 after the Indian Parliament had passed an all party resolution which supports the key areas pointed in the Jan Lokpal. Evan his detractor and politicians, who hate his guts, grudgingly accept he is the only person who has the power to mobilize common people across the country and shake up a government. 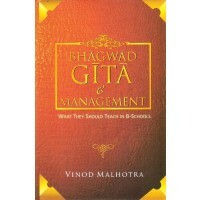 This work contains 101 Shlokas selected from various chapters of the Bhagvad Gita, covering a large range of subjects, such as Karmayoga, Gyanyoga, stable intellect, balance and harmony, attaining yoga, God's benevolence etc. The text contains translation of each shloka, a brief commentary and meaning of every word that appears in Sanskrit. 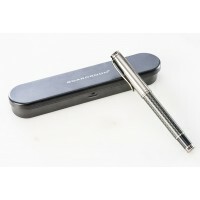 For the first time however, the written text is also accompanied with musical renditions. Distinct from chanting, all of 101 Shlokas have been sung and recorded in the traditions of Hindustani classical music with sur and taal in ten different ragas. These appear in two accompanying CDs in the same sequence as they are placed in the book. 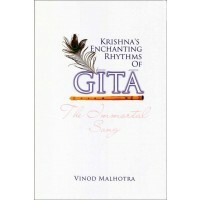 It is our belief that textual reading combined with the listening experience will take our appreciation of the Gita and its profound wisdom to an altogether different level hitherto not reached. The book includes two CDs with approximately two hours and 40 minutes of music.